There was always going to be a catch. You can’t pack that much *alleged* high-end hardware, that many features and throw in a curved display without there being a catch. Citing a source who has apparently seen the new handsets, Ars Technica is reporting that the top-end model of the Galaxy S6 Edge could cost in excess of $1000. The prices leaked to the site are what the devices will cost for European carriers, and it’s entirely likely that there will be a difference in US and EU prices – but it’s unlikely to be a huge difference. Ars Technica claims that the 128GB curved Galaxy S6 Edge will cost €1049 ($1191), with the standard 128GB S6 priced at €949 ($1077). 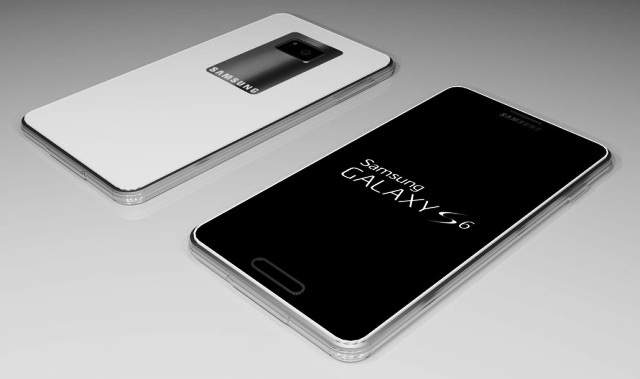 The 32GB and 64GB non-curved S6 models will cost €749 ($850) and €849 ($964) respectively. The S6 Edge storage variants will command a $100 premium. Pricing is always awkward to predict because it will vary in different regions and a direct conversion from euros to U.S. dollars isn’t completely accurate. But if remotely correct, then these prices could represent a dramatic shift from the S5 pricing model, which was launched for around $650 off-contract. These rumoured prices reflect the new premium design the Galaxy S6 and S6 Edge are supposed to boast, not to mention the introduction of new services like mobile payments, new chipset and a ground-up redesign of TouchWiz. Ars Technica also reported that the Samsung will ship fewer S6 Edge devices than the S6, which is down to “manufacturing issues” caused by the curved display. With the source claiming that about one third of the S6 devices shipped will have the rumoured curved display. How that will play out exactly is anyone’s guess. It could unintentionally stem embarrassing stories of warehouses full of unsold devices – like we saw with the S5. Or It could lead to an initial shortage of devices like we saw with the Nexus 6, especially since Samsung teasers are focussing mainly on the S6 Edge and – I assume – as will its subsequent marketing once it’s made official. Samsung has stepped up its marketing in recent weeks, releasing endless snippets of information about the upcoming devices. Also, in questionably perfect timing, the Korean Herald recently reported that a number of major carriers previewed Samsung’s new tech and deemed it “better than Apple s iPhone 6 in terms of design”. We’ll find out how true that is in four days. Jay McGregor is a journalist who writes for The Guardian, Forbes, TechRadar and is a correspondent for BBC’s James Hazel show. How Much Should You Spend To Build An App?